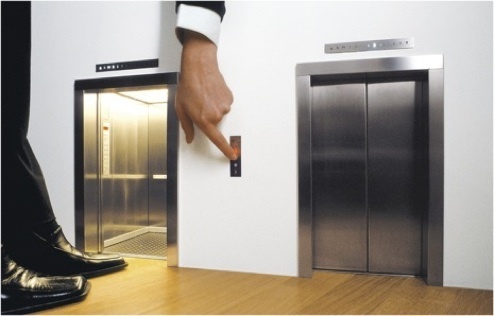 There are many myths and misconceptions about elevators. This is because the majority of all elevator equipment is hidden from public view, which thus leaves much to the imagination of a passenger. MYTH – Many people believe elevators are held up by only one rope that can break, leaving passengers in a free falling car. TRUTH – Elevators are supported by multiple steel cables. Each cable alone can support a fully loaded car. The only elevator fall due to a complete cable system failure occurred during the 1940’s when an airplane crashed into the empire state building and severed all the cables on a particular elevator. MYTH – Some people believe that an overcrowded elevator will fall. TRUTH – An overloaded car will normally not move. The doors will stay open and a buzzer may ring until enough people get off of the elevator to reduce the weight. MYTH – Some people have claimed that they have been in an elevator that fell several floors and then “caught itself”. They boarded an elevator that was traveling in the opposite direction they thought it was traveling. They saw the elevator floor indicator lights flash by quickly which gave the visual impression of falling. MYTH – Some people believe the hall doors will open when an elevator is not there. TRUTH – The elevator is designed so that the car controls the opening of the hall door. When the car arrives at a landing, the car door engages the hall door and the car door operator then opens both sets of doors. If the car is not at the landing, it cannot trigger the hall doors to open. MYTH – Some people believe that if an elevator is stuck between floors that they are in danger of falling and should try to get out. TRUTH – Attempting to leave the car on your own could result in serious injury. Elevator cars are designed to be “safe rooms”, and the safest place is inside the car. You should ring the alarm and utilize the emergency telephone if the elevator is equipped with one. You should only leave the car with the assistance of professional rescue personnel. MYTH – Pushing the call button repeatedly will make the elevator come faster. TRUTH – Once the call button is pressed, the call is registered by the elevator controller. Pressing the call button again does nothing. MYTH – Pushing the Door Close button will close the door faster. TRUTH – It may cause the doors to close sooner but not faster. If a buzzer the sounds, the doors may actually close slower.